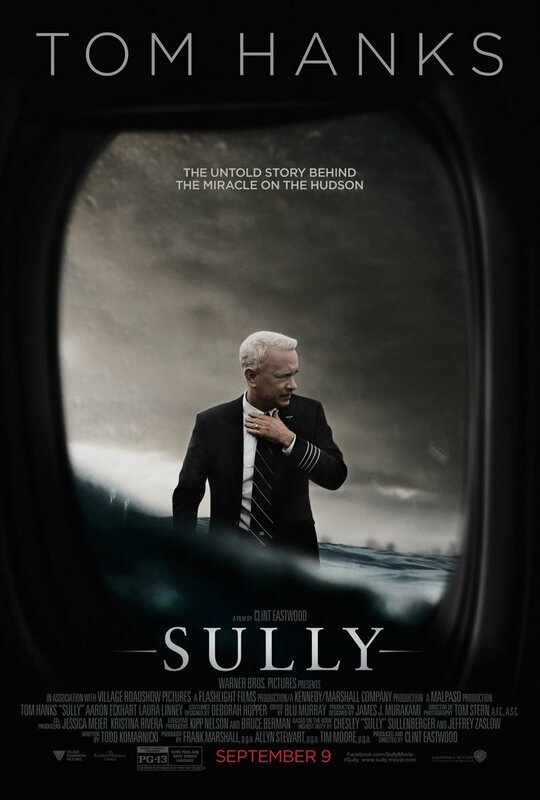 Late in Clint Eastwood's new film "Sully", a hearing is being conducted to ascertain whether an emergency water landing carried out by the titular pilot Chesley "Sully" Sullenberger could have been avoided. Using flight simulation technology, the inquiry board demonstrates that a safer landing at a nearby airport was possible. Sully argues that the simulation is faulty, as it removes the vital "human factor" from the high-stress situation. Similarly for Eastwood's depiction of this true story, the humanity involved before, during and after the unbelievable events prove to be essential to the film's questionable success. Tom Hanks plays the lead role of Sully, a longtime pilot for US Airways with a wealth of experience. One day however, all his training will be put to the ultimate test, when a freak incident causes a routine flight to malfunction. While en route from LaGuardia Airport in New York to Charlotte Douglas Airport in North Carolina, his plane hits a flock of geese, which disables both engines. With few options for a safe landing, he decides to trust his instincts and directs the plane towards a risky landing in the Hudson river. Miraculously, he pulls it off without any casualties. Sully is soon declared a hero by the public and the media alike. But with the significant financial losses incurred and pressure from the insurance company, an investigation begins to unfold to determine whether Sully should take the blame for irresponsible behavior. Part delicate character study, part inspiring courtroom drama, "Sully" is a film often at odds with itself. Despite an intense opening scene depicting a horrific nightmare of a plane crash, Eastwood's direction is surprisingly restrained. For Tom Hanks, the approach comes as a blessing, allowing him to once again shed his former "aw shucks" persona for yet another deeply grounded portrayal. In what will surely place him in the Best Actor conversation, Hanks' performance is truly the film's anchor. Despite the glaring facial transformation, he manages to fully inhabit the role. Unfortunately, the restraint hardly benefits the film otherwise. The predictable dialogue is delivered with such monotonous detachment that the film sometimes feels amateurish. And though the last act is considerably more engaging, the transition from Sully to the ultimate courtroom scenes lacks the tension that Hanks so effortlessly conveys. For a film that stresses the significance of human emotions in crisis situations, there's a disappointing lack of genuine human feeling in much of the acting. Indeed, while Hanks gets to explore great the psychological depths associated with PTSD and the vulnerability of public scrutiny, the other main characters serve mainly as props for his journey. Laura Linney for example, is stuck with the laughably stereotypical "supporting wife" role, while Aaron Eckhart barely gets any showcase scenes despite being Sully's co-pilot who is also on trial. By the time Hanks delivers what would likely be his Oscar clip, one gets the distinct sense of a film that doesn't know what it wants to be. In this climactic scene, he explains that it was the combined team effort of the flight crew, passengers, first responders and all of "New York's finest" which allowed for the plane's successful landing. But the dynamic ensemble drama he describes is far removed from the myopic biopic Eastwood delivers. Many may give Eastwood kudos for being able to deliver decent film at his age, with possible Best Picture and Best Director noms on the horizon. But for this fan of the prolific actor-director, "Sully" feels too much like Eastwood on autopilot, rather than taking full control of this fascinating true story. As is customary every four years, sports fans and casual viewers alike were glued to their TV screens this summer for the Olympic games. Throughout the 16-day event, the core Olympic values of friendship, respect and excellence were on full display and celebrated worldwide. But as a pair of eye-opening sports documentaries prove, this ideal of sportsmanship is not always upheld. When it comes to international film festivals, it’s almost a given that there will be at least one dark multi-narrative film among the lineup. This year’s Toronto International Film Festival was no exception. Hailing from two countries as vastly different as South Africa and the Czech Republic, respectively, directors Akin Omotoso and Petr Václav brought a pair of harrowing ensemble dramas. When Nate Parker‘s directorial debut “The Birth of a Nation” was announced as a Sundance selection, the knee-jerk reaction was to be expected. Many groaned that we didn’t need another “slavery film.” The concern was understandable, especially in a year that included “Underground” and “Roots” on TV. 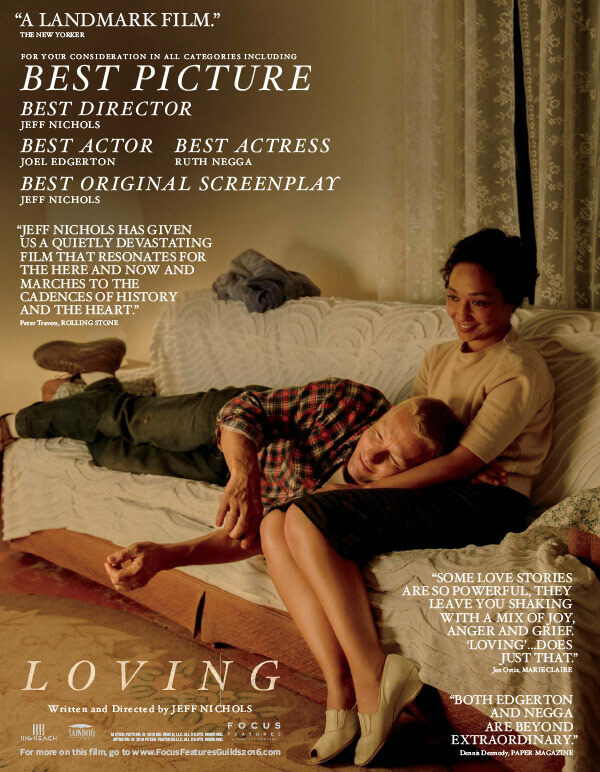 But as its Sundance reception showed, this passionate film captured an aspect of slavery that audiences needed to see. Disturbing, unsettling, infuriating. These are the adjectives that will likely come to mind in response to "Joe Cinque’s Consolation", the debut feature from director Sotiris Dounoukos. A misanthropist’s delight, this unflattering portrait of Australian society truly gets under the skin. Over the next few months, we’ll be hearing the term "Oscar bait" a lot. Used as a pejorative for period dramas, biopics or anything that looks like old-fashioned storytelling, it can be both a blessing and a curse for late year releases. One such film already labeled with that tag is Garth Davis' "Lion", a heart-stirring adaptation based on an extraordinary true story. Indeed, this is a prestige film through and through. And it deserves all the awards attention it will likely get. The more things change, the more they stay the same. This seems to be the overarching thesis guiding award-winning Bosnian filmmaker Danis Tanović and his new film “Death in Sarajevo”. A cynical sociopolitical satire, this labored drama critiques the unsavory legacy of Europe’s checkered past. 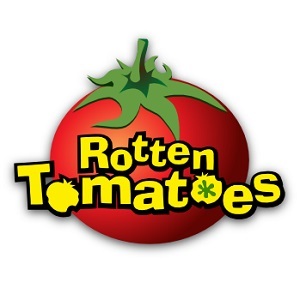 After a summer movie season widely regarded as one of the worst in many years, many film lovers are understandably pessimistic about the future of the “popcorn flick”. The mainstream summer slate was almost universally criticized as vapid, noisy and simply lacking in “fun”, it reignited fears about the death of cinema. But of course, sometimes you just have to look harder to find gems in a constantly expanding international marketplace. And one such example is “A Monster Calls”, directed by Spanish filmmaker Juan Antonio Bayona, which feels like an antidote to the curse that afflicted this year’s blockbusters. With another edition of the Telluride Film Festival in the books, it’s time for cinephiles worldwide to turn their attention to arguably the biggest stop of the fall festival circuit – the Toronto International Film Festival. Once again, TIFF features a packed lineup of exciting films to unfold before audiences from September 8-18, culminating in an awards ceremony to crown the best of the festival. Of course, the biggest prize is the People’s Choice Award, seen as a bellwether for awards season success in the months to come. And this year, the prize will be hotly contested with numerous Oscar hopefuls making their premieres including "Lion", "A Monster Calls", "American Pastoral" and many more. Indeed, the possibilities are endless with 296 features and 101 shorts to choose from. Some hard decisions will therefore have to be made for the many attendees and those following along from afar, but Awards Circuit is here to help with our picks for the 15 Films to Watch at the 2016 Toronto International Film Festival. At the beginning of Hans Petter Moland’s "In Order of Disappearance", our protagonist Nils Dickman (Stellan Skarsgård) is seen accepting the “Citizen of the Year” award in his Norwegian mountain community. A snowplow driver by profession, he maintains a simple, diligent lifestyle with his wife and son. But the honor bestowed upon him soon becomes a source of irony when an unexpected tragedy changes turns him into a ruthless avenger in this unrelenting, dark crime drama. Talk to any aficionado of animated films today and the names Brad Bird, Andrew Stanton and John Lasseter should be very familiar. As animators and filmmakers emerging from the powerful Disney/Pixar juggernaut, they have used their talents to build illustrious careers in the world of film. These titans of animation however, owe much of their success to the pioneering efforts of talents like Floyd Norman. This fact is brought to life with all the appropriate admiration and warmth in "Floyd Norman: An Animated Life", a documentary by Michael Fiore and Erik Sharkey. Opening with peaceful, serene images set within a convent, director Anne Fontaine quickly establishes the illusion that will soon be broken in her new film "The Innocents". A group of nuns sing in unison, before being interrupted by a harrowing scream. This cry in the dark later becomes a recurring motif, as the sobering drama recounts the traumatic experiences following a case of sexual violence in post-World War II Poland. As America reels from its latest terrorist attack in Orlando, many are left searching for answers and solutions to the ongoing problem. Tensions between contrasting ideologies have rarely been more fraught, making films like Thomas Bidegain’s "Les Cowboys" all the more timely. In this suspenseful debut feature, a father goes on a perilous search for his missing daughter, which reveals a possible connection to Islamist extremists.